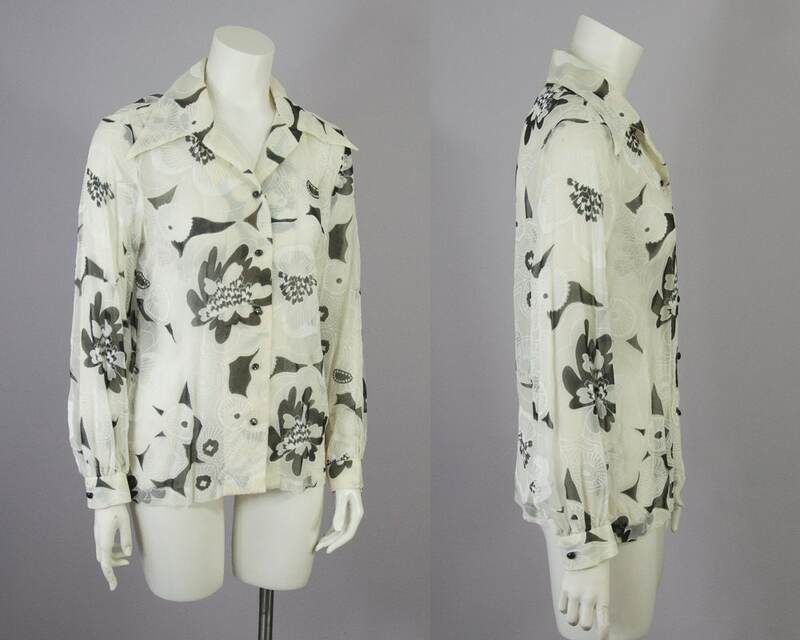 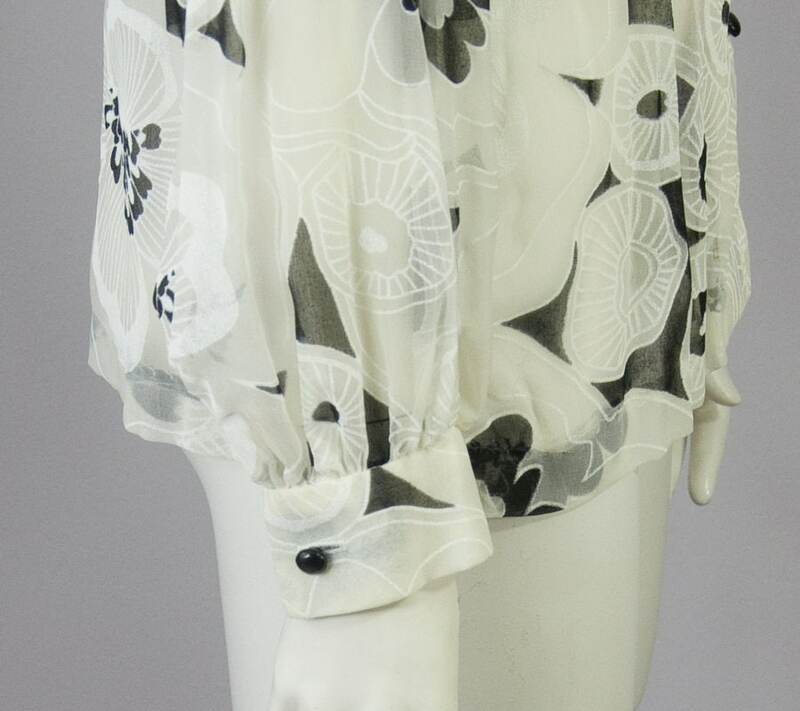 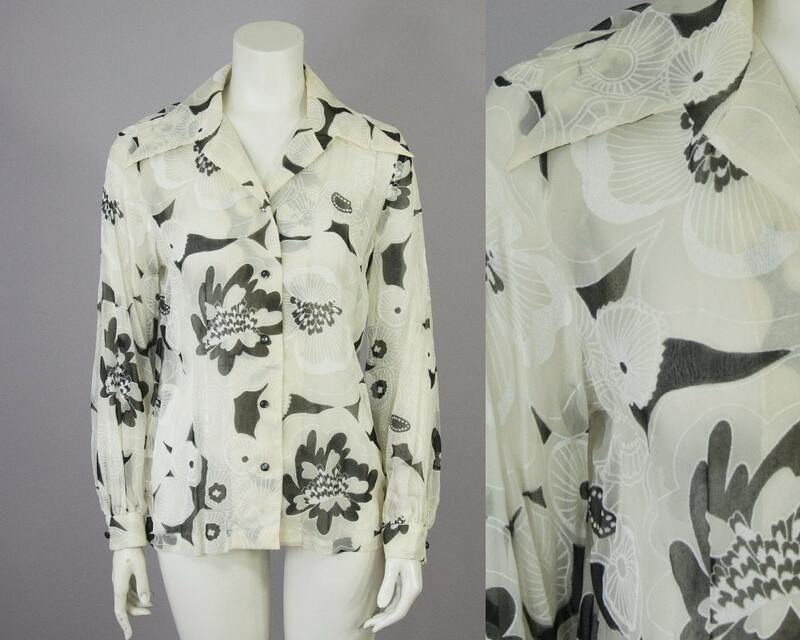 Late 60s vintage sheer ivory blouse. 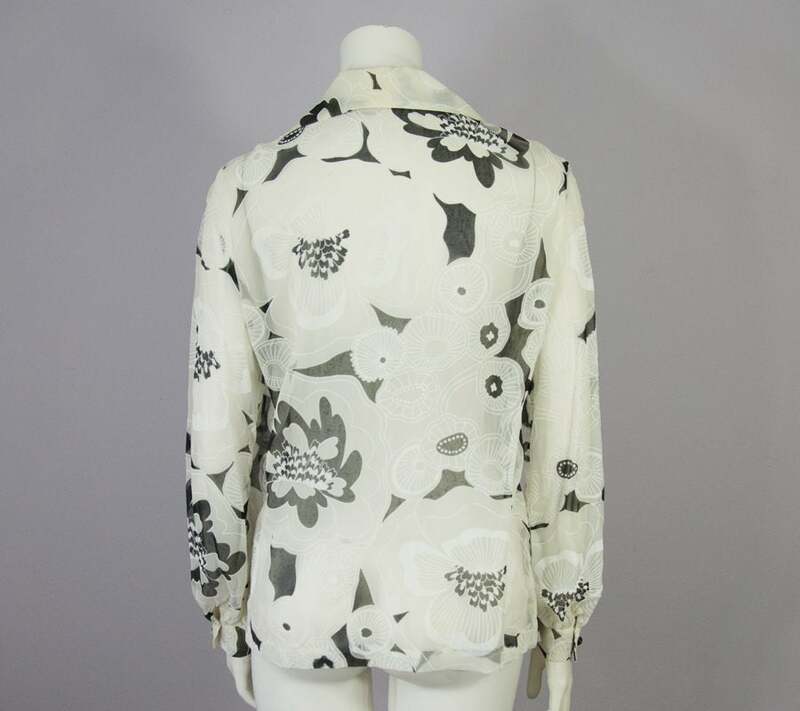 Large black and white floral print. 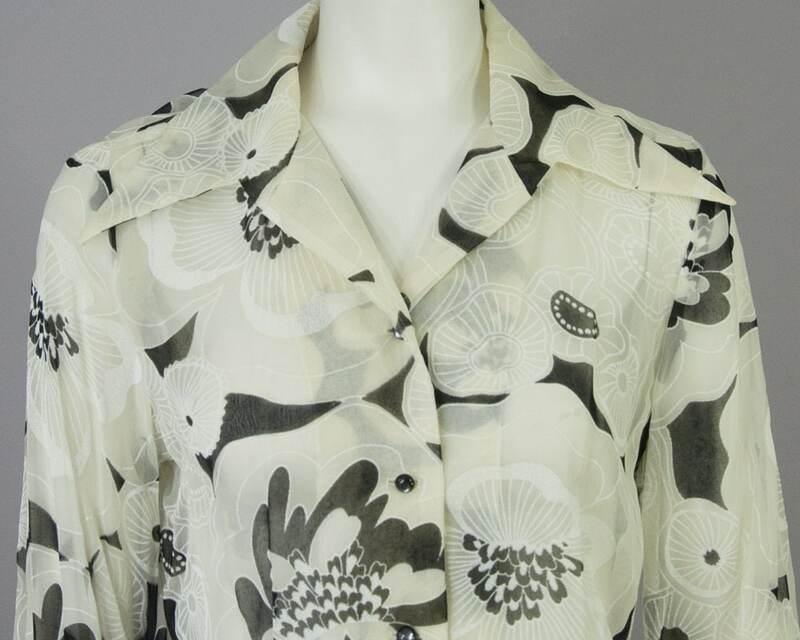 Wide pointy collar (no top button).